Opel’s not exactly the best company in the automotive business from a financial stand point. They are suffering quite badly nowadays. Even so, it’s nice to see the accountants not mess around too much with the guys who actually make the cars. That’s part of why we get to see these spyshots. The photos at hand feature the Opel Junior, or Adam, or Allegra, or whatever it might be called. 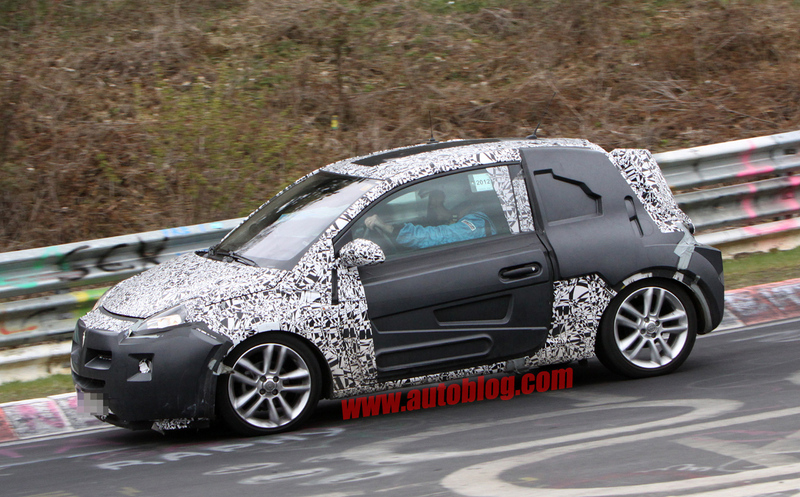 Regardless of the name, a new small hatchback from Opel was spotted while being tested. Oh and the testing wasn’t just your average weather battered drive around a sleepy little village. We’re looking at photos of it being taken round the Nurburgring race track. We’re still struggling to understand why a small cheap hatchback like the Opel Junior would need to go round the track but this is Germany, maybe its tradition. 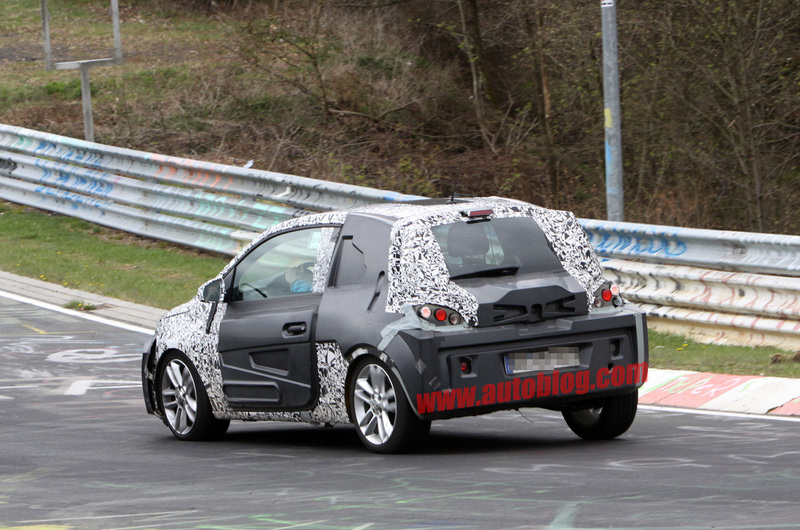 When the Opel Junior does hit the market, it will mainly rival the Volkswagen Up!. This places it at a cost range spanning between about 12.000 and 16.000 USD. Under the bonnet of the Opel Junior a very small engine. It’s currently under development and is expected to join the fashionable method of knocking a cylinder off the list. 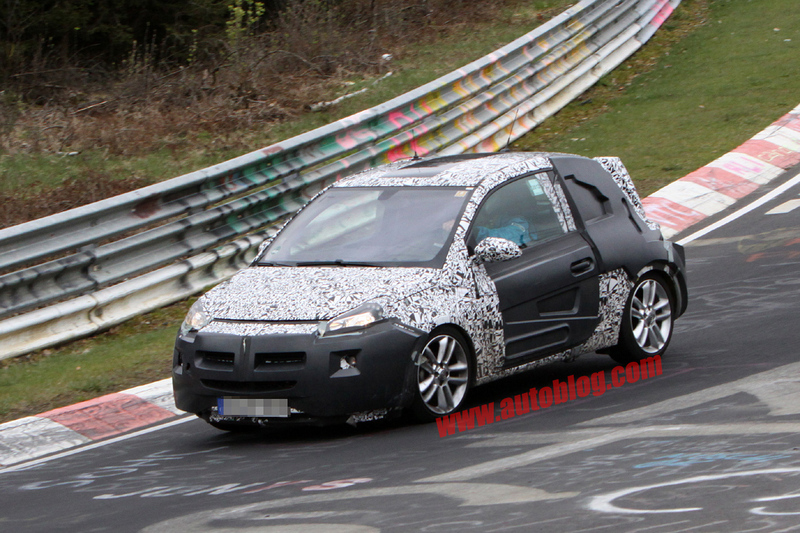 Even though these spyshots feature a heavily camouflaged Opel Junior, the car isn’t as far away from the market as you’d imagine. Plenty of estimates see the Germans unveil it in about two weeks time and with an official motor show debut slated for the Paris event.